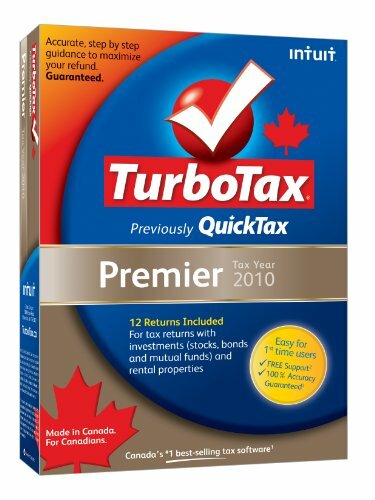 TurboTax, previously QuickTax, is a product developed by Intuit Canada and a product I’ve both reviewed and used before for many years. I haven’t done my taxes manually (with pen and paper) for about seven years now since I tried TurboTax (formerly QuickTax) for the first time. There are competing products in the Canadian market but I’ve always liked how you can use your previous years return in the software and the ease of use for entering information, collecting information and then being able to review for any items I may have missed. As they did last year Intuit has been generous enough to supply me with two (2) copies of TurboTax Standard to give away to readers of the blog and a copy of TurboTax Premier to review. TurboTax Standard retails from $16.99 per return and helps with your RRSP’s, tuition, medical expenses and common tax deductions. TurboTax Premier retails from $29.99 per return and adds additional features to the standard version by helping you report investment sales (capital gains/losses) and rental property deductions. TurboTax Home & Business retails from $39.99 per return and is intended for individuals who have personal and self-employment deductions. There is also a TurboTax Student version that is free and available online. The reason I like TurboTax and use it each year (other than receiving a free copy!) 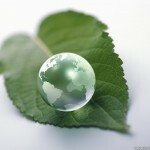 is that the software is designed specifically for Canadian tax returns. As mentioned above I like TurboTax because I can enter information, collect that information within the software and then review it as I move through the review process to see where items have been missed or what suggestions the software has for improving the return. The ability to file online makes the process simple and last year I completed both my own return and my wife’s in about two hours. TurboTax Premier comes with all the tools an active investor needs to help track and enter investment income, capital gains/losses and dividends. Old favourites, such as the RRSP Optimizer, help you get a frank assessment of how an RSP contribution can affect your tax return. I’ve used this previously to illustrate to friends how gathering their tax information earlier than last minute can help them make their RSP contribution before the deadline to maximize their return if desired. I contribute regularly throughout the year so it’s not an important feature but one that I like they’ve retained and continue to promote. The ability for me to go from my return to my wife’s without issues also makes the process much easier. In previous years I’ve even convinced friends to give it a try because TurboTax doesn’t make you pay when you use it online until you’re ready to submit your return. I believe this feature still exists and helps new users see how easy and helpful the features of the software is.